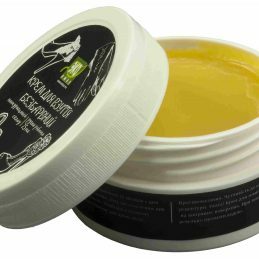 antiperspirant BALM handmade | Price, buy antiperspirant BALM handmade in Kiev, Kharkov, Dnipro, Odessa, Zaporozhye, Lviv. Shop Fitomir antiperspirant BALM handmade : review, description, sale. antiperspirant BALM handmade normalizes the sebaceous and sweat glands, reduces the age and pathological sweating (neurasthenia, vascular dystonia, diabetes), antimicrobial and antiviral protection (baths, saunas) .Smyagchaet itching in allergic dermatoses. 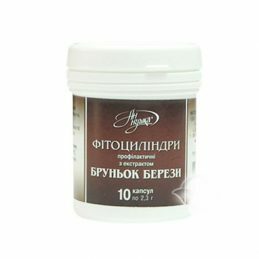 Antiperspirant BALSAM handmade normalizes the work of sebaceous and sweat glands, reduces age and pathological sweating (neurasthenia, vegetative-vascular dystonia, diabetes mellitus), antimicrobial and antiviral protection (baths, saunas). It softens the skin itch in allergic dermatoses. Antiperspirant (dr.-Greek αντι “against” + English perspiration – “sweat, sweating”) – a cosmetic product designed to eliminate the cause, the consequences of which can become unpleasant odors, namely, sweating. Used in certain areas of the body, where sweat causes the greatest inconvenience, for example, on the legs, in the armpits, on the hands. Antiperspirant natural reduces the excretory ducts of sweat glands, thereby reducing the process of sweating. Apply antiperspirant BALSAM handmade in the morning, after a shower. It is advisable not to use them in the sauna, in the bath and with intense physical exertion – wherever a person sweats too much, because when sweat does not have an outlet, a local edema in the armpits can occur. First, make sure that the antiperspirant BALSAM contains zinc and aluminum salts. As mentioned above, they prevent sweating and sweat. If your skin is sensitive, it is recommended to purchase only products containing glycerin or cyclomethicone. Immediately before application on the skin, carefully read about the frequency and time of use of the product, as well as its shelf life. It is also important to understand that in the event of damage to the container in which the deodorant is stored for the body, or if stored for long periods under direct sunlight, it may lose its effectiveness. Protection from an unpleasant smell of sweat. Has a deodorant and antimicrobial, antiseptic effect. Cream-balm Atiperspirant has a gentle and light creamy consistency, delicately cares for the skin, preventing the appearance of an unpleasant odor of sweat. Cream-balm Atiperspirit provides effective protection, gives a feeling of lightness and freshness, does not create a film on the body, does not clog pores, does not block natural physiological processes, does not dry the skin. 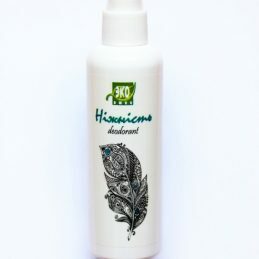 The use of antiperspirant helps to normalize sweating. Effectively fights bacteria causing an unpleasant smell, preventing their appearance and colonization on the body. At the heart of the cream-balm Antisepharant is only natural ingredients and this product is suitable for the most delicate and sensitive skin. 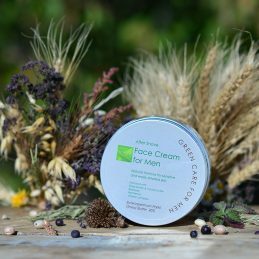 The cream contains special substances that provide antiseptic and deodorizing, anti-inflammatory effect, thanks to them, it easily repairs damaged skin or shaving. With regular use, the level of sweating is regulated. Cream-balm Atiperspirant can be used not only in the armpits, but also for other problem areas, such as legs and palms. 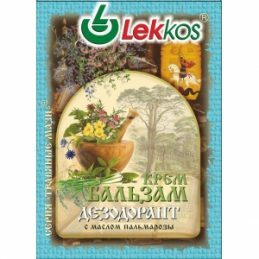 Antiperspirant BALSAM handmade Composition. Beeswax, butter – mint, green walnut, coconut, olive, castor, linden, thyme; extracts – cranberries, oak bark, tansy, sage, succession; essential oils – sage, chamomile. The beeswax contains about 300 different substances: esters, organic acids, minerals, vitamins, etc. The powerful anti-inflammatory properties of beeswax have been proven clinically, have a purifying and rejuvenating effect and are an excellent conductor of biologically useful substances in the epidermis layers. That’s why we use it as a basis for creams-balms. Mint oil – relieves irritation, has antimicrobial, antiseptic and anti-inflammatory properties. Green walnut oil – Antiperspirant BALSAM handmade promotes skin regeneration, revitalizes the epithelium, has a powerful bactericidal effect. Coconut oil and olive oil are rich in vitamins, they heal and soften the skin. Are excellent conductors of useful substances. Castor oil – softens and nourishes the skin, especially good for sensitive and dry skin, reduces skin flaking, eliminates excessive dryness of the skin. Lime oil is a very valuable oil, the tradition of using it, goes back to the distant past. Lime oil is known for its soothing effect, the ability to relieve inflammation and soften the skin. Clears the pores, which allows the skin to breathe fully. Thyme oil is the strongest antiseptic. Perfectly tones the skin, moisturizing it. 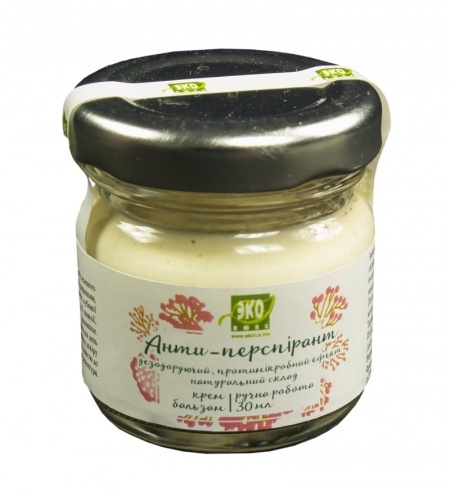 Eliminates the itching of the skin, has antimycotic properties. 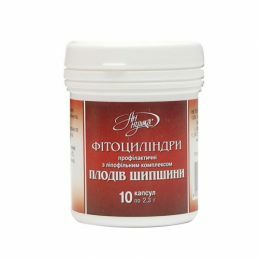 Contraindications: intolerance of components individualfnaya cream-balm. Natural Deodorant Spray "Sunny Citrus" is specially designed for gentle and careful, safe body skin care, anti-odor sweat. Natural Deodorant Spray "Sunny Citrus" has a light and sunny citrus aroma, with notes of grapefruit. 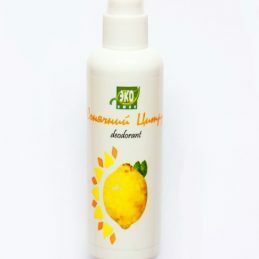 Natural Deodorant Spray "Sunny Citrus" is recommended for protection against odor of sweat throughout the day. The ingredients that make up a deodorant contribute to a thorough body care. Cream-balm Deodorant will help to solve the problem of excessive sweating. Cream-balm Deodorant is an effective remedy preventing excessive sweating and the appearance of an unpleasant odor during the day. Gently normalizes excretory processes, does not dry the skin and does not clog pores. Does not cause allergic reactions. 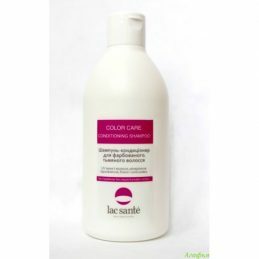 It has a number of advantages over most analogues: it does not dry the skin and does not clog pores. 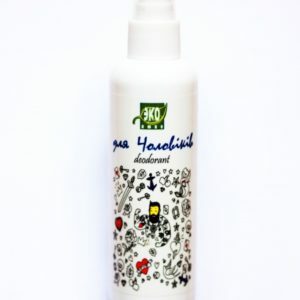 Natural deodorant spray "Tenderness" is an excellent remedy for fighting the smell of sweat. If you have super sensitive and tender skin in the underarm area, then this natural deodorant is very useful to you! Light and delicate cinnamon flavor, it feels literally 10-15 minutes after application, then you wear only one fragrance, the fragrance of your perfume. At the same time, you are reliably protected from the unpleasant odor of sweat. What is the beauty of a natural deodorant? The fact that it contains no parabens, triclosan, synthetic perfumes, propylene glycol, phthalates and alcohol. You can describe for a long time, for each component separately, why and what they are not useful, we can summarize so - the skin, the largest organ, and through it, everything enters the lymph and spreads throughout the body.